Naja Measures 3" x 3". 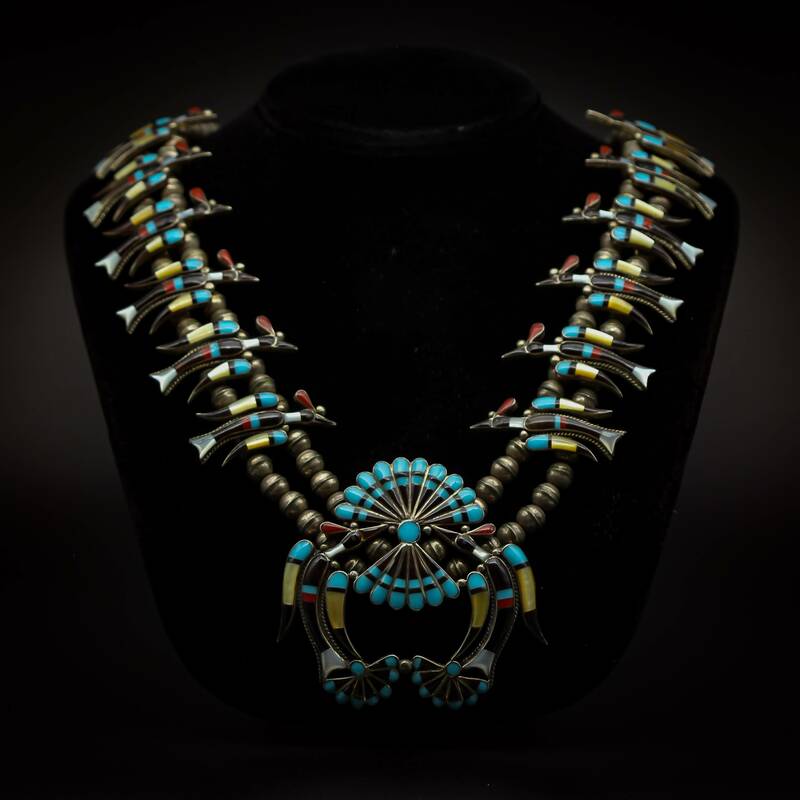 The inverted crescent pendant on squash-blossom necklaces, called the 'Naja' by the Navajo, is found in various design forms throughout the world cultures. 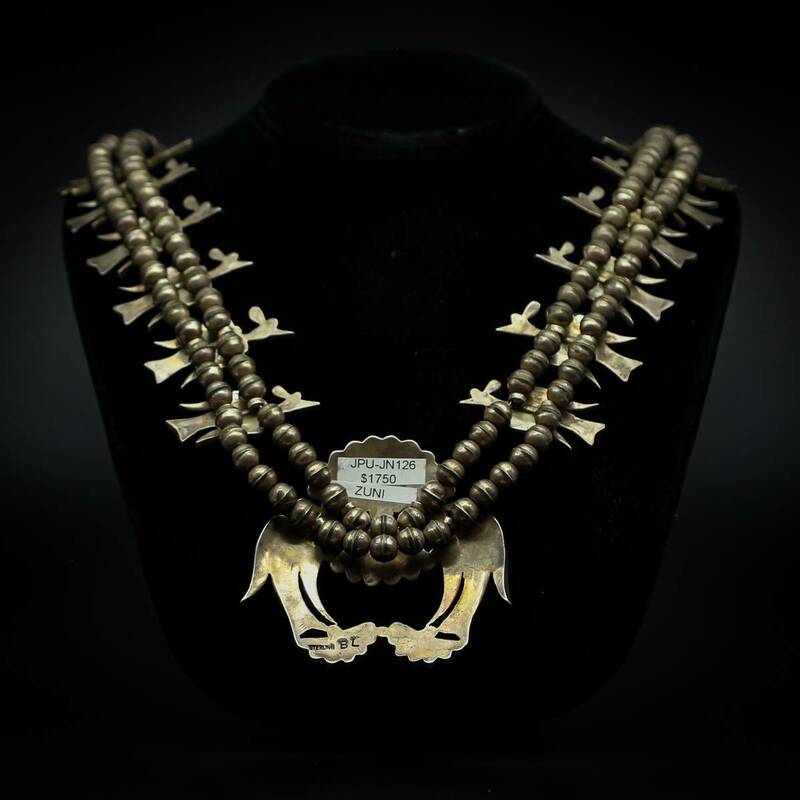 The Naja was put on the horse headstall, the front center band of the horse bridle, and later, the Naja moved into the realm of necklaces to protect both themselves and their horses from 'the evil eye'. It is believed that the flower symbol that we commonly see in necklaces was brought to the Navajo around the 1890's. The blossom is a representation of the Spanish-Mexican pomegranate and a variation of this design can be found in the designs from Granada, Spain. As time has progressed, both the squash blossoms and the Naja have developed into various designs and styles. 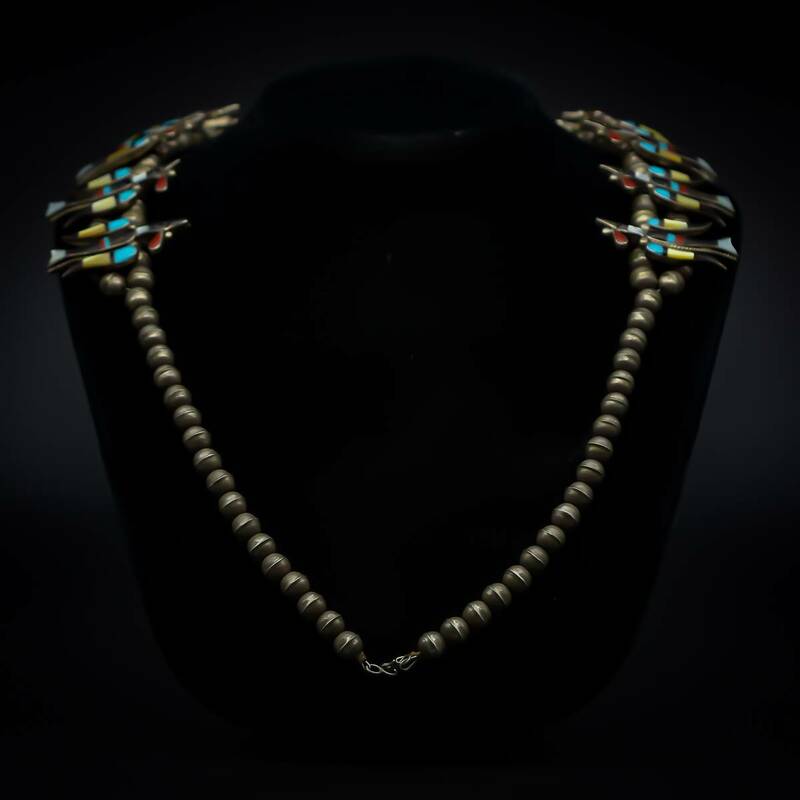 Today, these necklaces continue to develop past the traditional silver and turquoise elements and are moving into gold, diamonds and other materials of interest and great beauty.